Start Your Career BEFORE You Graduate … Explore an Internship! Why should students pursue an internship? According to a survey conducted by the National Association of Colleges and Employers (NACE), employers offered full-time positions to nearly 60% of their interns. Students who had completed internships were likely to earn 6.5% more than those who had not. Interested in Pursuing an Internship? Contact Career Services, call (570) 321-4602, or stop in to the Center for Enhanced Academic Experiences, on the 2nd floor of the Academic Center. Natural Science and Math students may contact Kristin Laudenslager, Career Advisor, (570) 321-4320. Social Science students may contact Lori Lyons, Career Advisor, (570) 321-4301.
Business students may contact Anne Landon, (570) 321-4257, stop in to the IMS in the AC. 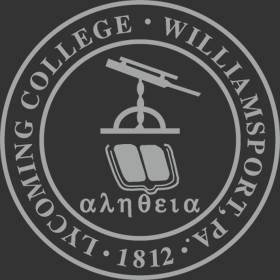 A full semester liberal arts program for professional development and field study is available to Lycoming students. The program is open to juniors majoring in any discipline or program. The Philadelphia Center is sponsored and administered by the Great Lakes Colleges Association. With the consent of the Department of Political Science and the Registrar, selected students are permitted to study in Washington, D.C. at The American University for one semester. They may choose from seven different programs: Washington Semester, Urban Semester, Foreign Policy Semester, International Development Semester, Economic Policy Semester, Science and Technology Semester, or American Studies Semester. With the consent of either the Department of History or Political Science, and the Registrar, selected students may enroll at Drew University in Madison, New Jersey, in the United Nations Semester, which is designed to provide a first-hand acquaintance with the world organization. Students with special interests in world history, international relations, law, and politics are eligible to participate. This program is available to eligible students on a competitive basis. Cosponsored by Pennsylvania’s Office of Administration and Department of Education, paid internships are available to students in most majors. Interested students should contact Career Services for additional information.